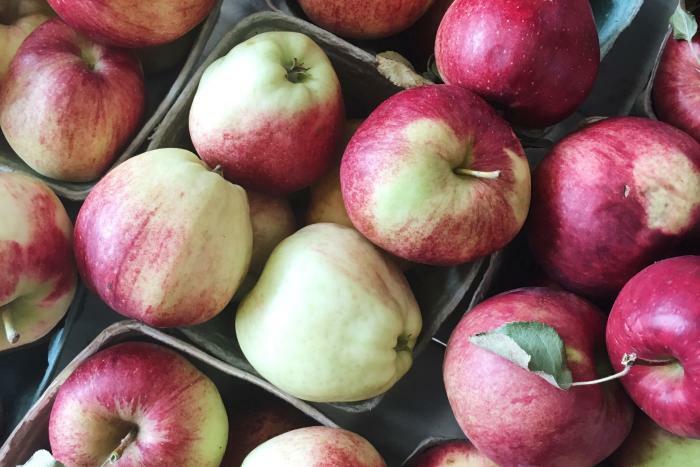 When fall temperatures hit in northern Michigan, the craving for fresh local apples rides in off the coat tails of the heat wave. There are over 2,000 varieties of apples grown in the United States, and every variety is vastly different. From the color, shape, flavor, growing season, and whether it’s best fresh, baked or in sauce -- apple varieties matter! 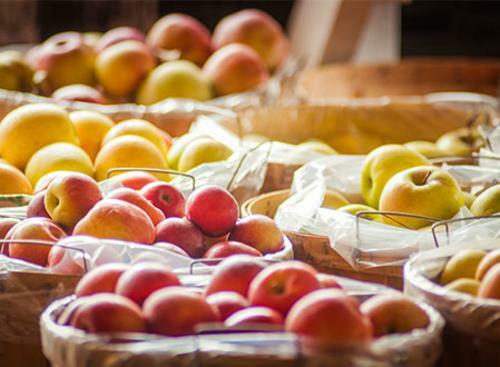 Luckily for us, northern Michigan is filled with plenty of choices and a day trip through Leelanau County is certain to satisfy your apple craving, no matter what you desire. Take a look at these three different apple farms and a few of the varieties they grow. Then add one--or a few--to your fall road trip itinerary. If a drive to Empire or Glen Arbor is part of your plan, be sure to include a little extra time for a stop here. Located one mile east of Empire, off M-72, this farm grows Honeycrisp, Gala, McIntosh, Macoun, and Russet apples. If you could only pick two, go with the Honeycrips and the Russets. The Honeycrisps are delightful as a mid-day snack. Expect a balance of sweet and tart flavors with a juicy finish. It&apos;s a popular apple for a reason! Russets are perfect for baking desserts and have a sweet, nutty flavor. Stock up on these, especially if fall baking is on your to-do list! And, did you know this apple has a slightly rough skin -- called russeting -- hence it&apos;s name. Local Tip: Wiesen Farms U-pick (with a lake view!) is open every Saturday and Sunday from 1-5 pm, or by appointment. Heading to Leland? Take a slight detour from M-204 to S Lake Shore Dr. Enjoy the scenic route and get ready to taste some apples! At this farm you will find Zestar!, Honeycrips, EverCrisp and Crimson Crisp varieties. Try all of them, or just a few, either way, your daily apple will be consumed after a stop here. A few highlights include the Zestar! and the EverCrisp. Zestar! is great for fresh eating and baked goods. It&apos;s sweet and subtly tart. A little later in the season you will find the EverCrisp, a juicy, sweet and crunchy apple that will store wonderfully in a cellar. Local Tip: VerSnyder Orchard’s Farm Stand is on a beautiful winding road along the west coast of Lake Leelanau. Stop for lunch just 5 minutes away at India’s Kitchen in NJ’s Grocery or the new FIG’s restaurant! If you are making a trip up to the Grand Traverse Lighthouse add this farm to your itinerary. 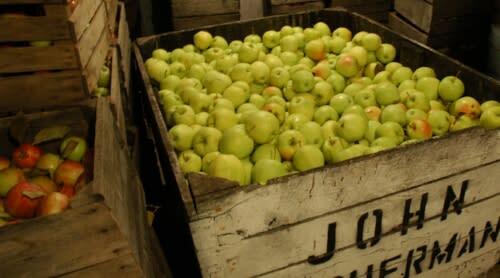 Here you will find heirloom apples, antiques and "the world&apos;s best" fresh pressed cider. Try the Beacon. This apple is mildly sweet with a deep red exterior and pulpy flesh, it&apos;s ideal for cooking. And, if you are feeling snacky pick up some of the Keepsakes. They maybe a little irregular in shape, but their sharp and sweet flavors make them a lovely mid-day treat. Local Tip: If you’re looking for lots of apple varieties, and old school charm, this is the place. An apple a day...you know the rest. Find additional farms and apple information at Taste the Local Difference.